September 7, 2017 By Elise 1 Comment This post may contain affiliate links. Please read my disclosure policy for more info. If you’re on a grain-free journey, these coconut flour recipes are exactly what you need! About a year and half ago, I bought my first bag of coconut flour, and at first, I couldn’t make anything work. It was so different than traditional flour! But after a whole lot of reading up on how to bake with coconut flour, I. Love. it! It takes so little (which means coconut flour is actually cheaper than it looks), and most coconut flour recipes are full of eggs, which, aside from being great protein, helps us keep the bounty from our chickens and ducks under control. And of course, I think the biggest attraction is that it’s lower carb than grain-based flour, and SOOOO much lower calorie than nut flours. 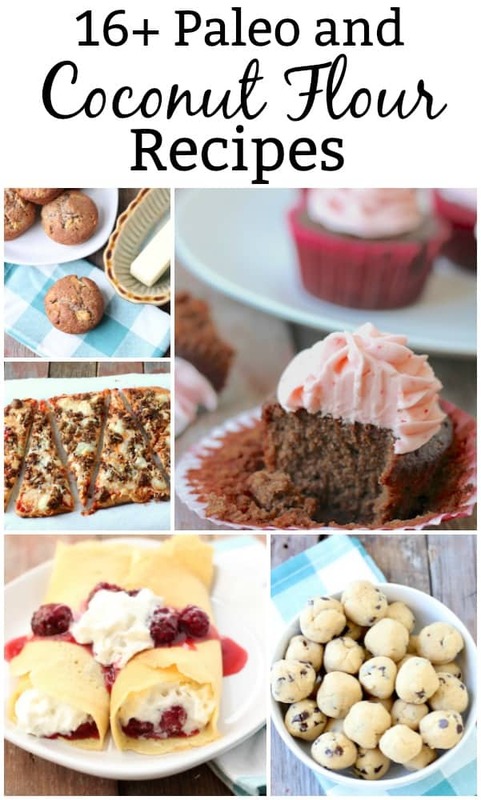 There are so many reasons why you should bake with coconut flour! We’ve curated quite a collection of delicious coconut flour recipes here on the blog, so I thought it was about time we put them all in one place. Coconut Flour Pizza Crust. 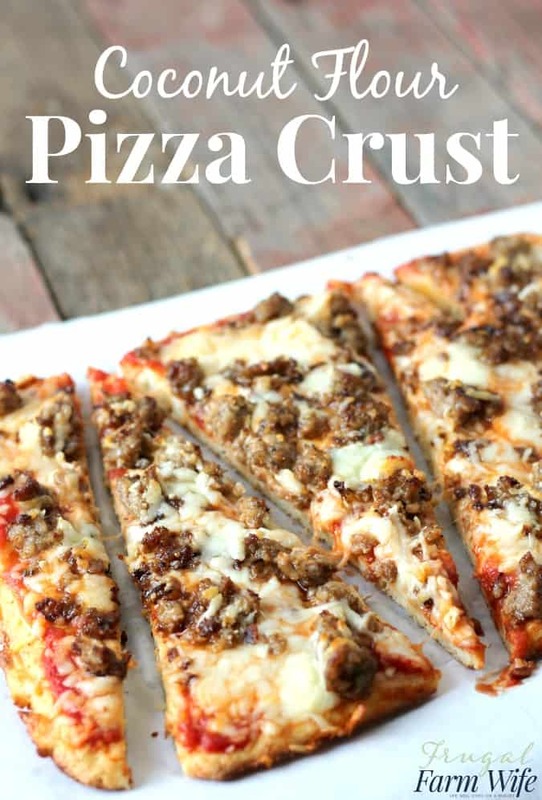 This is the hands-down the best low carb pizza crust ever! Coconut Flour Chocolate Cupcakes. Who said birthdays couldn’t be healthy?! 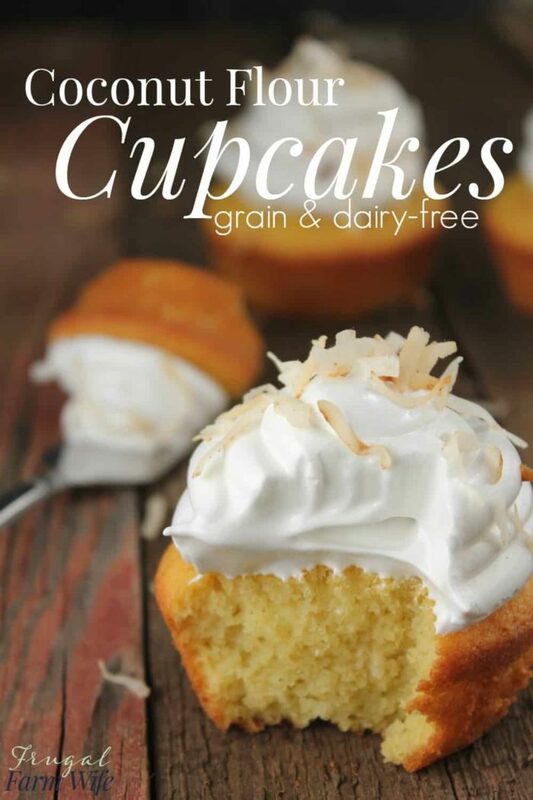 Coconut Flour Cupcakes. This recipe for soft fluffiness will blow your mind! Double Chocolate Mint Cookie Dough Bites. My kids devour these – even though they know they’re full of chickpeas! Coconut flour crepes With Blackberry Sauce. 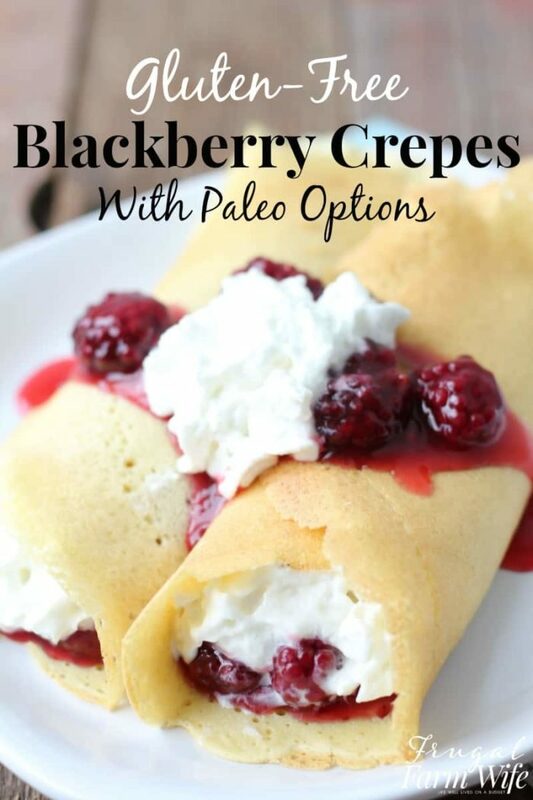 These crepes are so easy to make, which I love because it leaves me with time to make fancy sauces and whip cream! 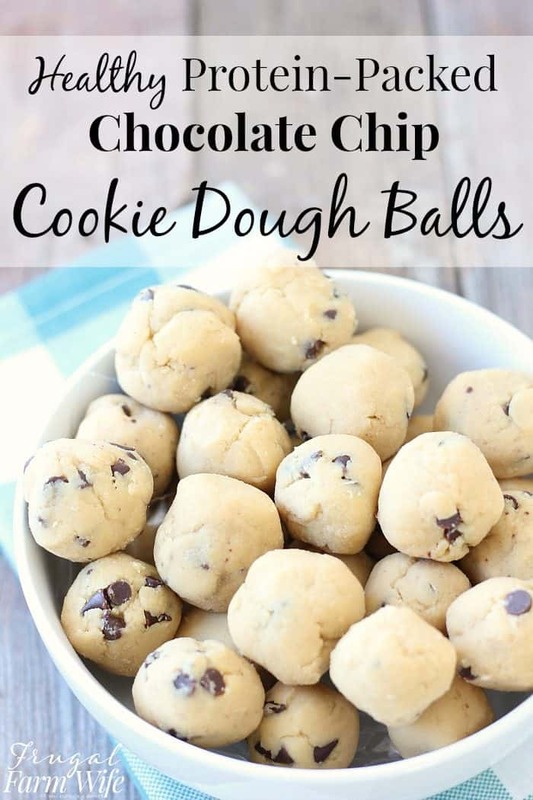 Chocolate Chip Cookie Dough Balls. This is one of my favorite snacks ever! Cookie dough that’s full of protein! 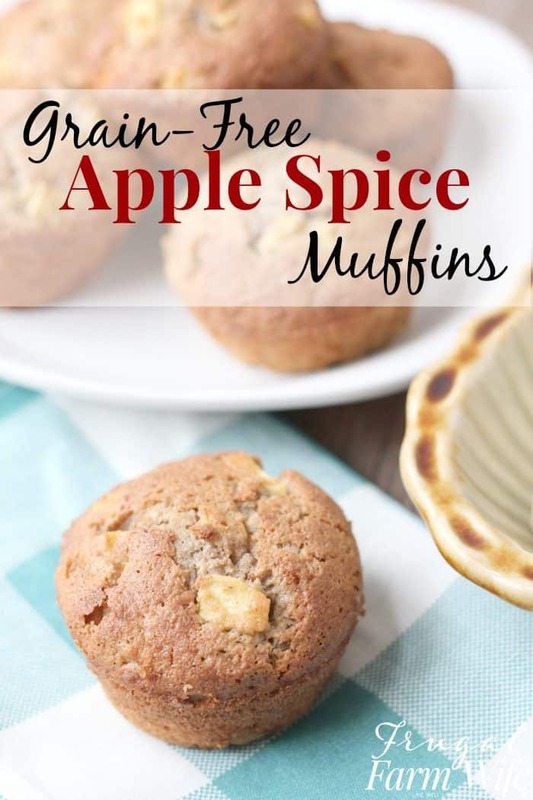 Grain-Free Apple Spice Muffins. Sweet, warm muffins, with a bit of cinnamon. So yum! 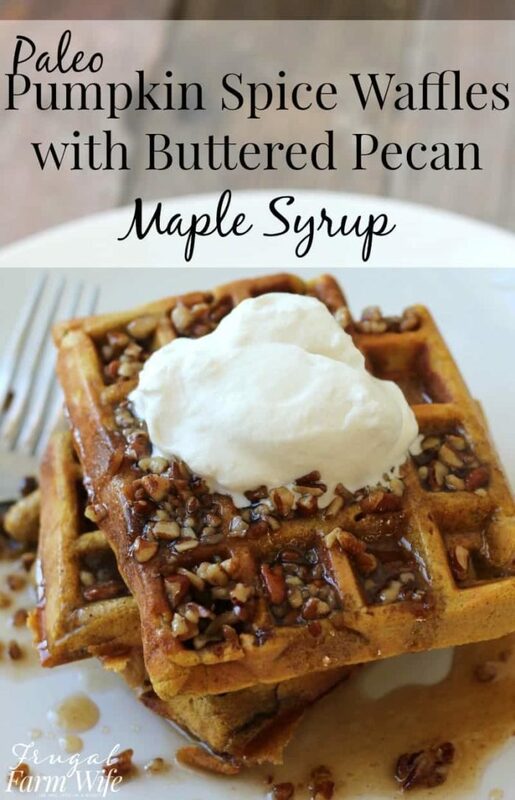 Paleo Pumpkin Spice Waffles. These pumpkin waffles may very well be the best thing I’ve ever eaten! Healthy oatmeal Chocolate Chip Cookies. 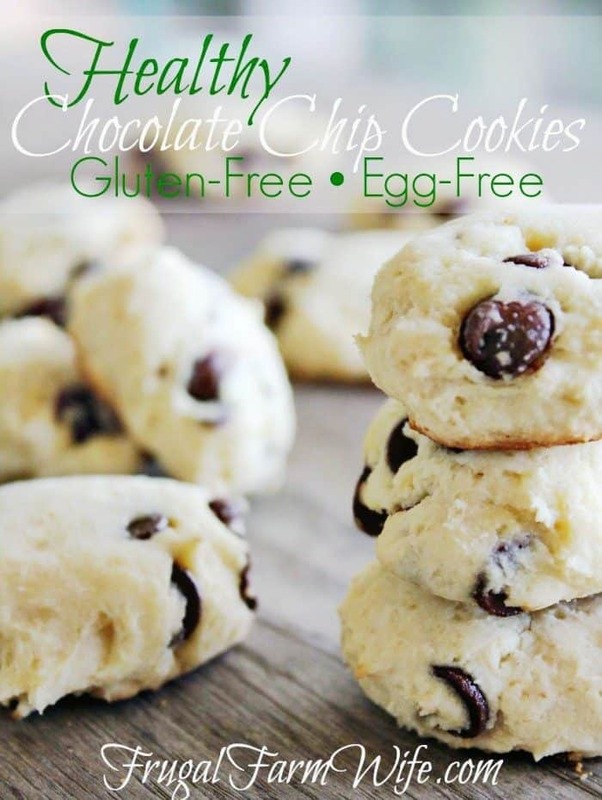 Chocolate chip cookies that are actually good for you! Paleo Peach-Blueberry Cobbler. 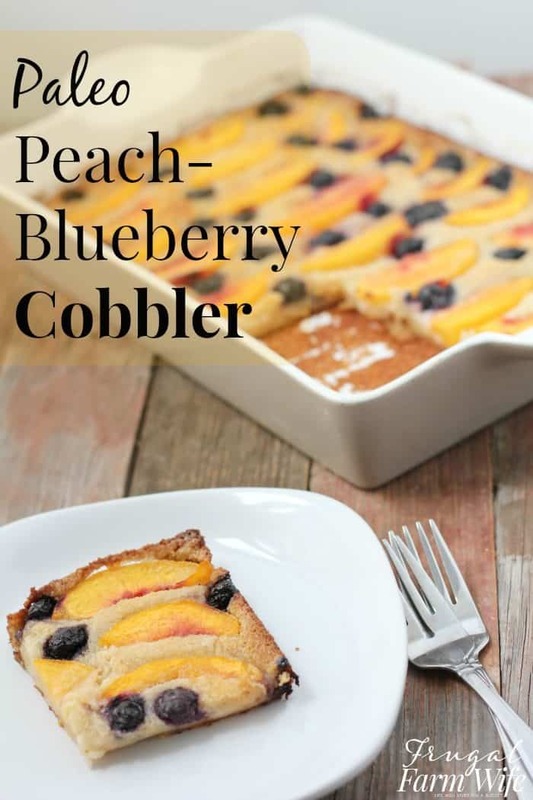 This cobbler is so delicious – even if it is upside down! I love how buttery the crust is! Paleo Lemon Bars. 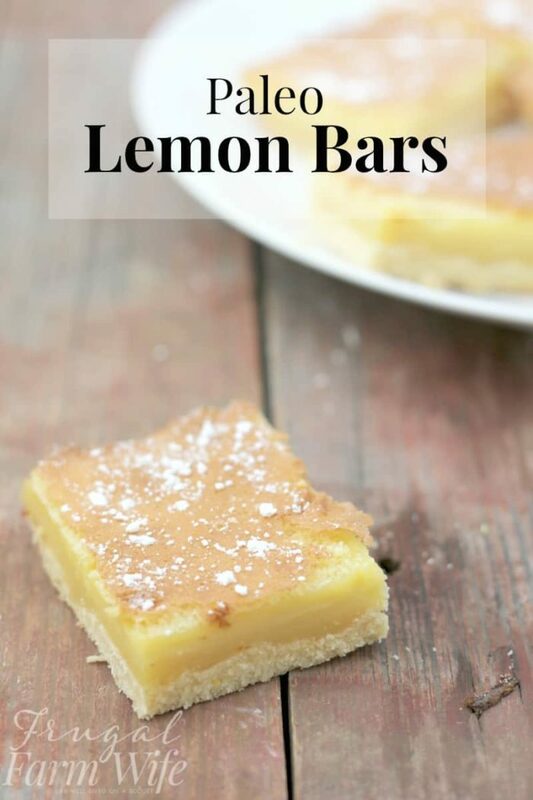 One of my husband’s favorite desserts has always been lemon bars, and I’m so excited that we have a recipe he can still eat on his grain-free diet! 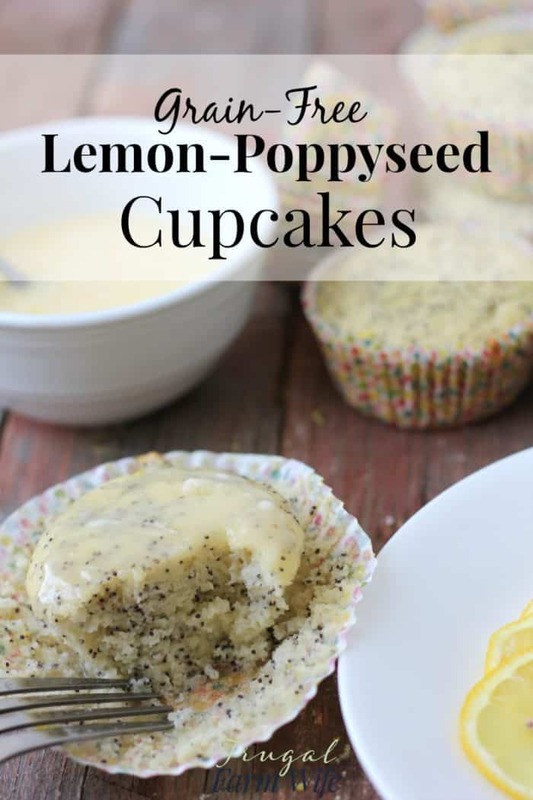 Grain-Free Lemon-Poppyseed Cupcakes. 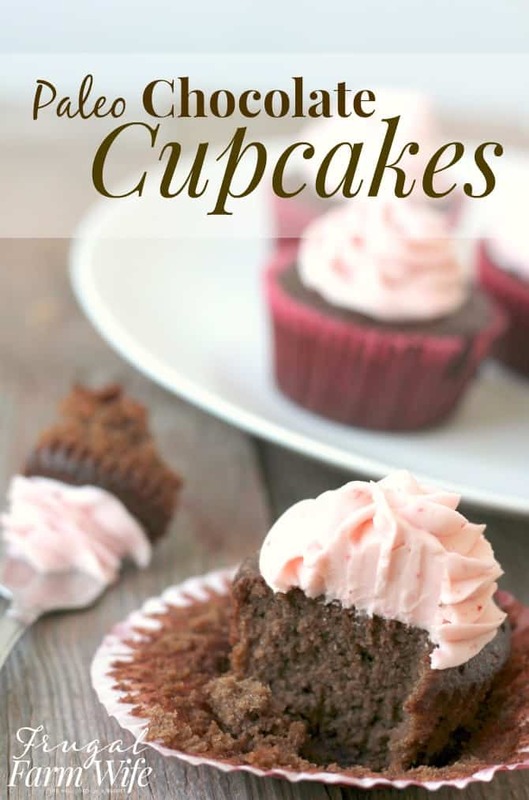 One of my friends growing up used to make the best poppyseed bread I ever tasted, and these grain-free cupcakes are a close copy! 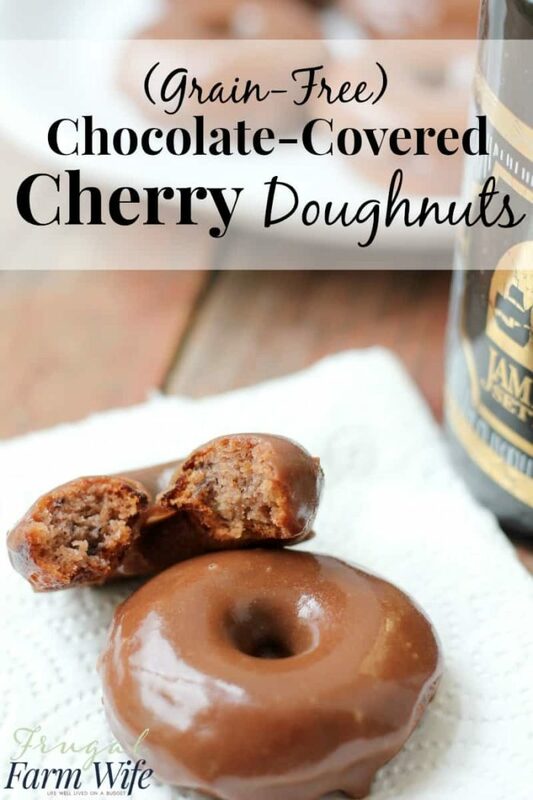 Grain-Free Chocolate Covered Cherry Doughnuts. I never thought I would love baking doughnuts – after all, real donuts are deep-fried! But these days, I’m a lot less willing to stand in front of hot oil all morning making breakfast. Happily, it turns out baked donuts are just as tasty! 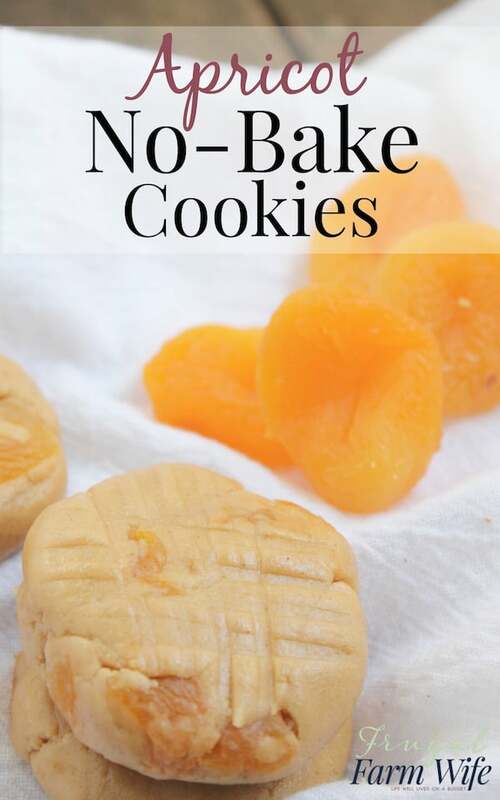 No-Bake Apricot Cookies. 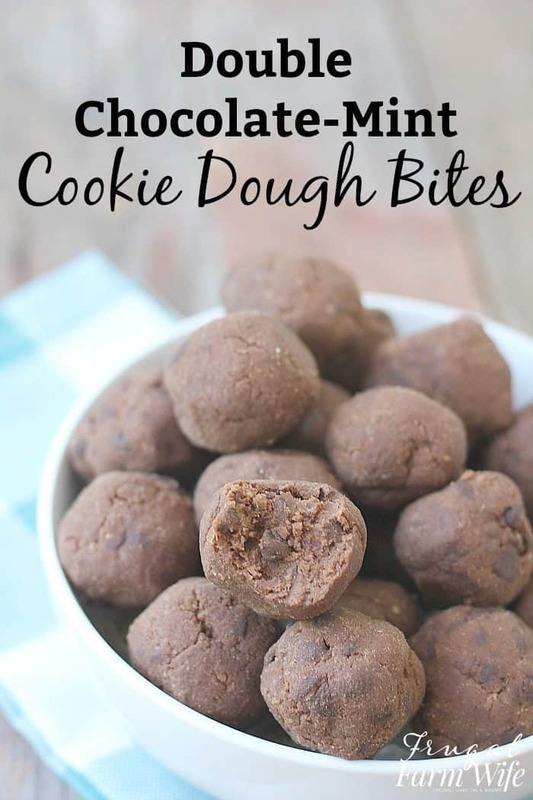 These are great to whip up a snack for the kids. 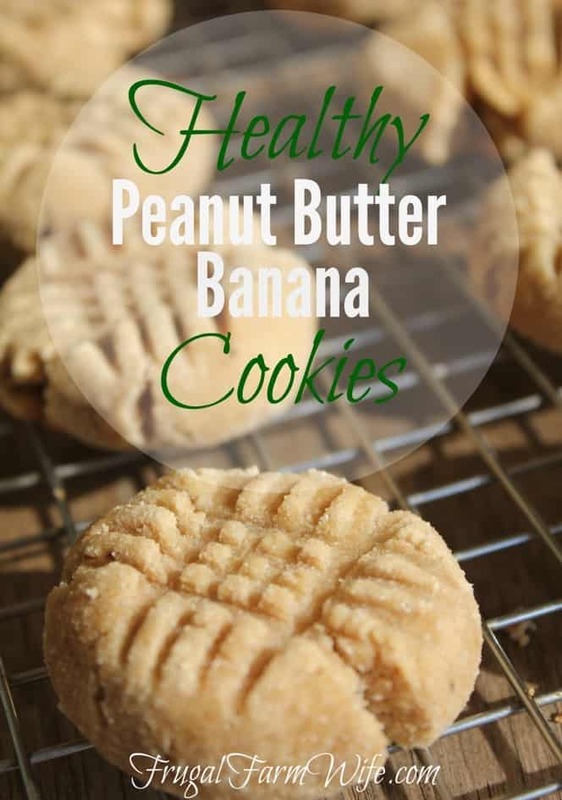 Healthy Peanut-Butter Banana Cookies. I’ve served these to SO many moms and kids, and everybody loved them! Coconut Flour Paleo Brownies. 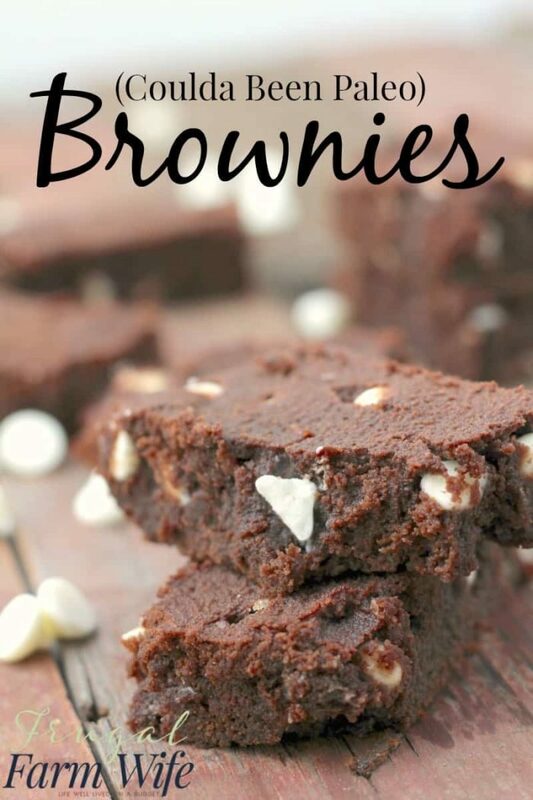 Are brownies still paleo if you put white chips in them? Oops. Either way, these are so good! Easily one of the best coconut flour recipes you’ll ever make, because it’s hard to beat a good brownie, amiright?